I was interested to make a heatmap with multiple annotation with least interference. 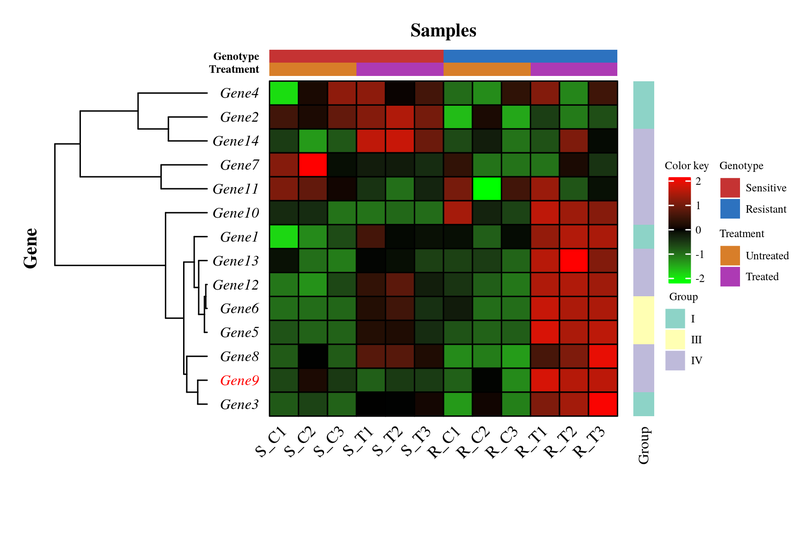 It will create an heatmap with multiple annotation such as: genotype, treatment, gene, class. Legends related to all annotations are given right side of the heatmap. Please visit this page for all file related to this R script. We need R libraries extrafont, ComplexHeatmap, circlize and RColorBrewer to run this script.